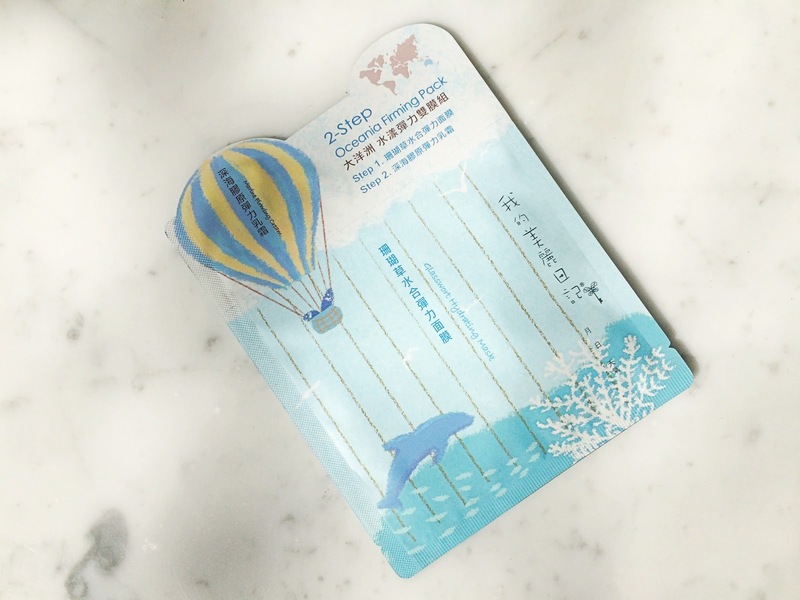 My Beauty Diary is a Taiwanese brand and it available in Asia and online. One box consist of 8 sheet masks for around €14. 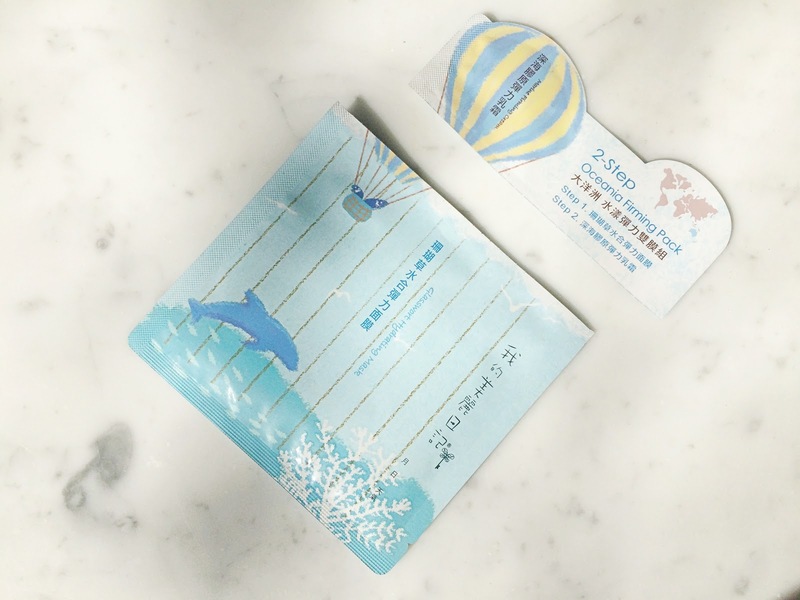 The mask contains 23ml of product and the cream 2ml. It is for all skin types and especially good for tired, saggy and wrinkled skin. The Oceania Firming Pack is to keep skin hydrated en supple. 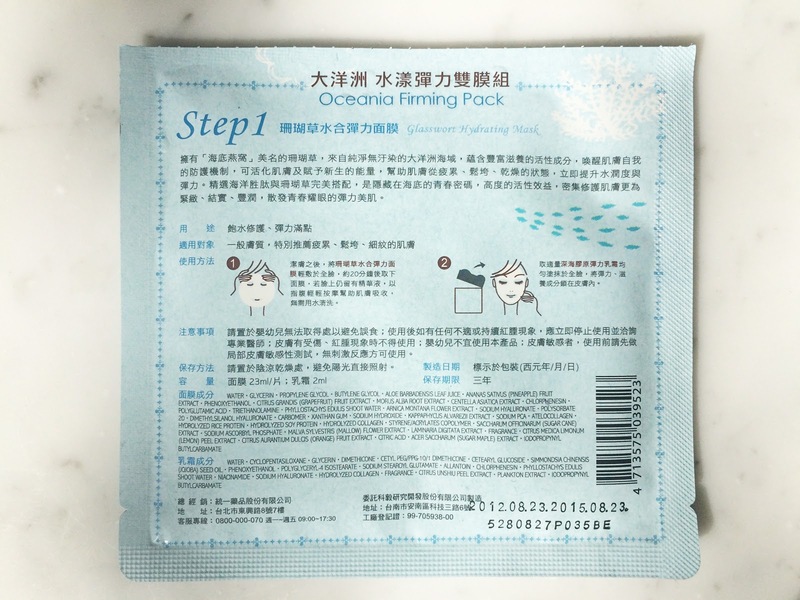 The Oceania Firming Pack is a 2-step Cleaning Pack. Step one is the sheet mask and step 2 is the cream. Glasswort Hydrating MaskHonored with the title of ‘Ocean Bird Nest’, glasswort comes from pristine unpolluted Oceania. It is rich with active nourishing agents to enhance the skin’s self-defense mechanism and self-renewal ability to revitalize tired, dull and dry skin with immediate hydration and elasticity. Expect highly effective results from the perfect combination of carefully selected marine peptides and glasswort, one of the best hidden secrets tucked away in the ocean. It is now easily available to intensively restore your skin to its usual tighter, firmer, more supple texture to bring out a stunning, youthful and more radiant you. So this mask gives tired, dull and dry skin immediate hydration, elasticity. Skin becomes more tighter, firmer and more supple texture. To use: Apply Glasswort Hydrating Mask onto a cleaned face and remove it after 20 minutes. If there is any residual serum, massage it gentle into the skin for easy absorption. No need to wash it off. Marine Firming CreamExtracted from deep-sea fish cartilage collagen, the Marine Firming Cream boasts of small-molecule ready-for-absorption nutrients that are excellent for uplifting the skin’s elasticity and vitality. This smoothens wrinkles caused by ageing or dryness, restoring the skin to its more elastic, supple and lithe state. Combined with unique oceanic essential extracts, the Marine Firming Cream stimulates the skin’s renewal abilities and works around the clock to nourish, pamper and firm-up your skin, ensuring that you wake up with a healthy radiance every morning. 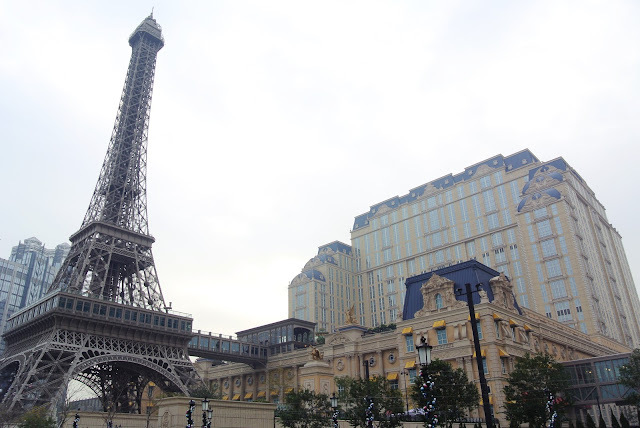 This cream gives skin more elasticity and vitality. It nourishes, pampers and firms-up the skin, giving a healthy radiance. To use: Apply fully amount of Marine Firming Cream evenly onto the face to lock all elasticity and nourishing agents. 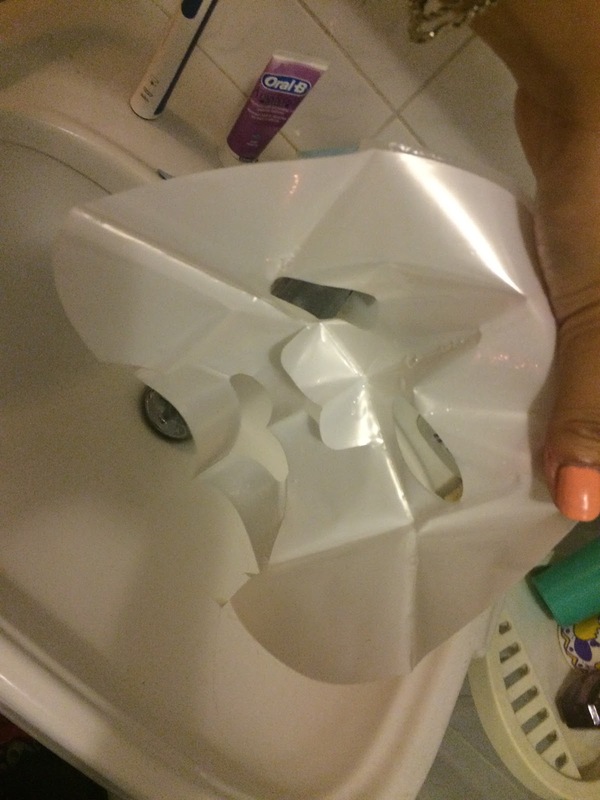 When you open the packaging of the mask you need to fold open the mask. 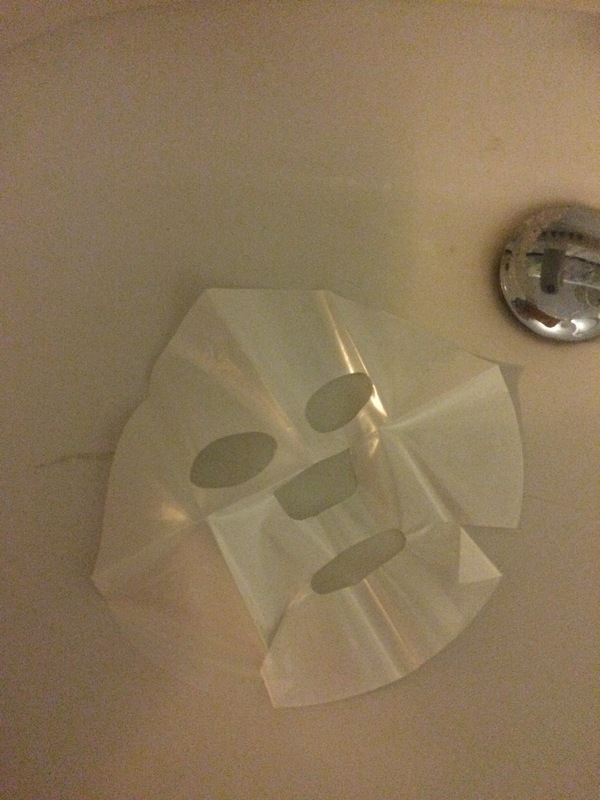 There are two layers: the mask is sticking to a plastic pearly sheet to prevent the mask from being ripped. 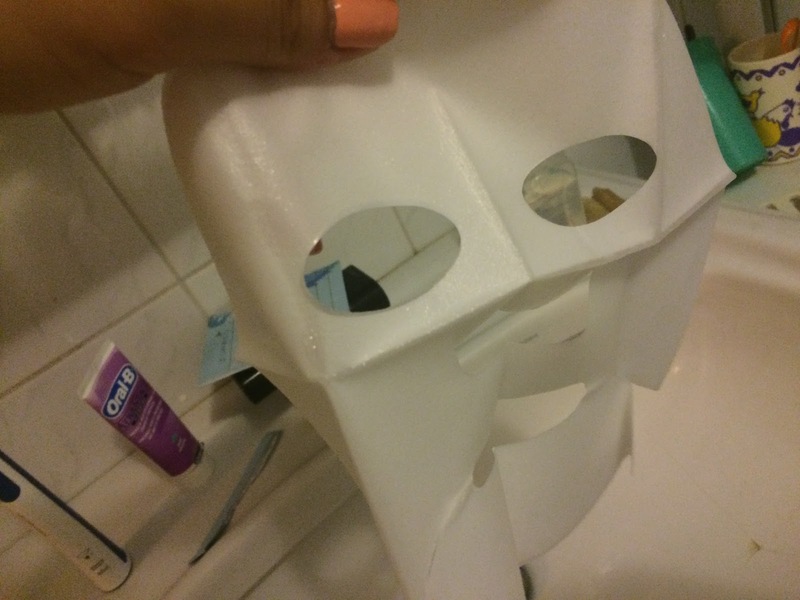 The mask is really thin and totally soaked with essence. Therefore it sticks really well onto the face. I left the mask for around 20 minutes and pulled it off. I got residual essence on my skin and I massage it into my skin and neck, which absorbs pretty quickly. I am really amazed how good only this mask already is! 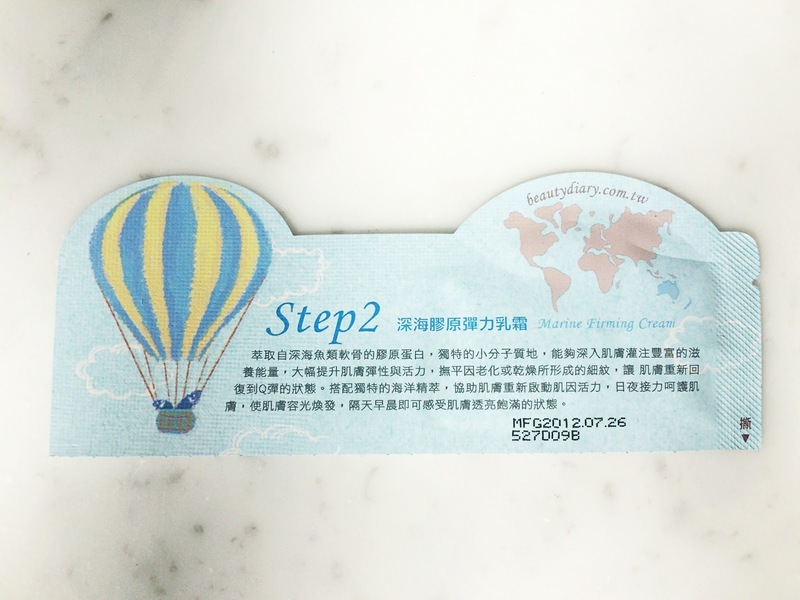 Then I went to the step 2 strip for the Marine Firming Cream. This is all of the amount (2ml) of the Marine Firming Cream. 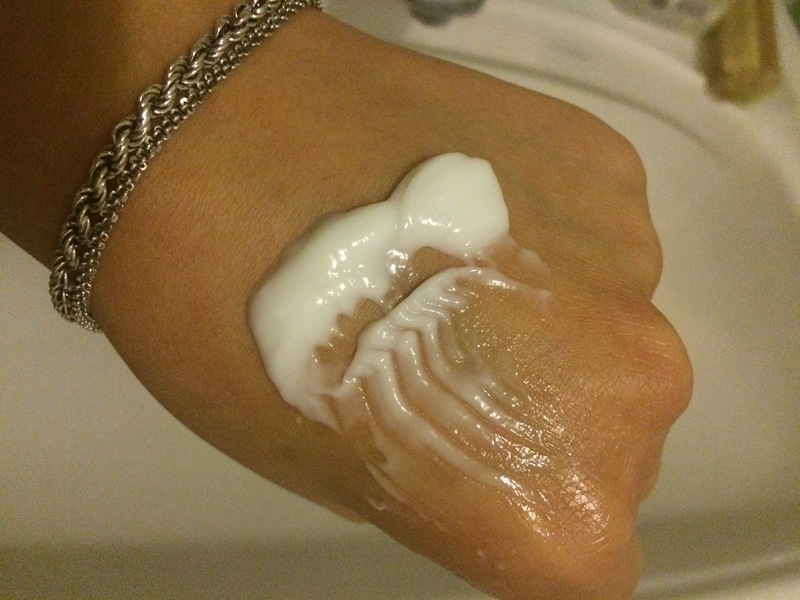 When applying, the cream feels more like a gel structure and it's easy to spread and to massage onto my skin and it absorbs nicely and fast. My skin feels already absolutely hydrated, plump and elastic after this 2-step firming pack. Indeed more tighter, smoother, firmer, supple and no dry flakes at all. 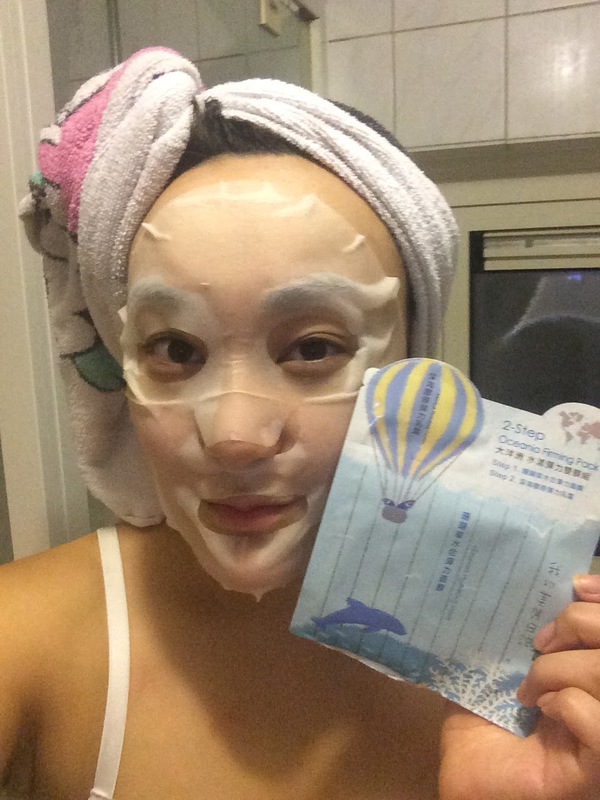 I love that the sheet mask is super thin, so it sticks really good to the face. 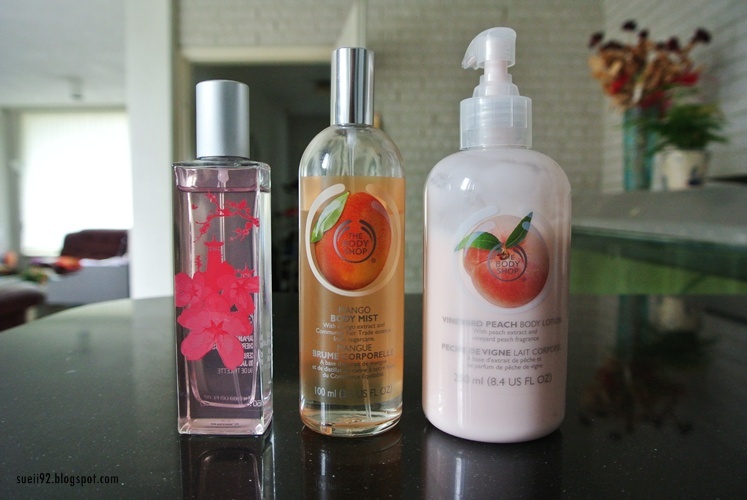 The cream feels really thin, lightweight and nice on the skin. I'm really pleased with the sheet masks of My Beaty Diary in general and the Oceania Firming Pack has exceeded my expectations!